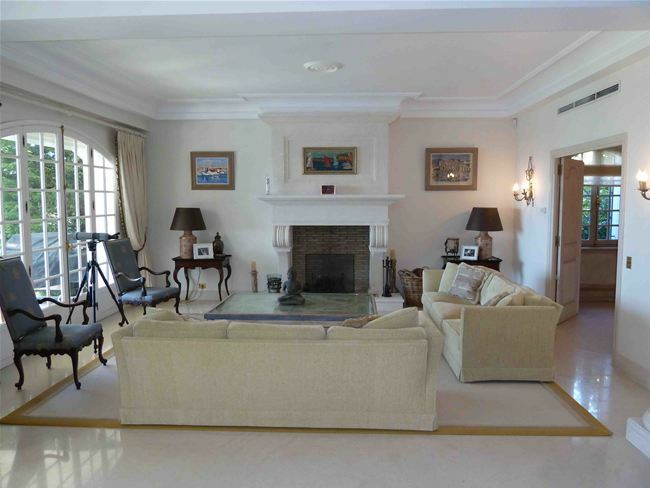 This beautiful and elegant villa is situated in the perfect location in Juan les Pins, Cap d’Antibes. 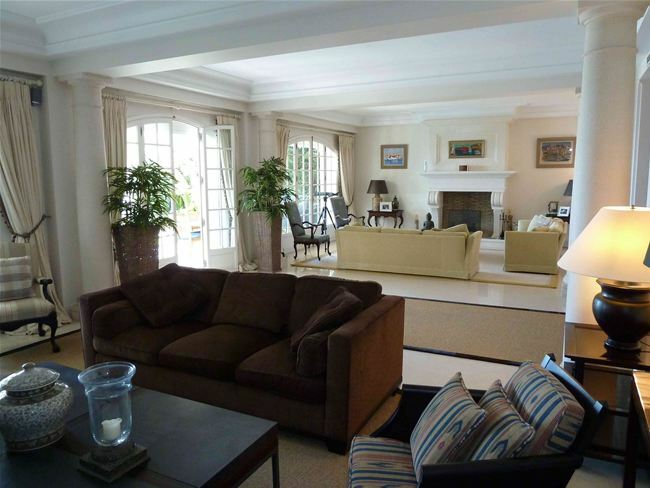 The property is within walking distance of the stunning private beaches and benefits from a south-west exposure. Guests can enjoy the incredible views of the bay of Golfe-Juan, Cannes and the Lerins Islands from this spectacular property. 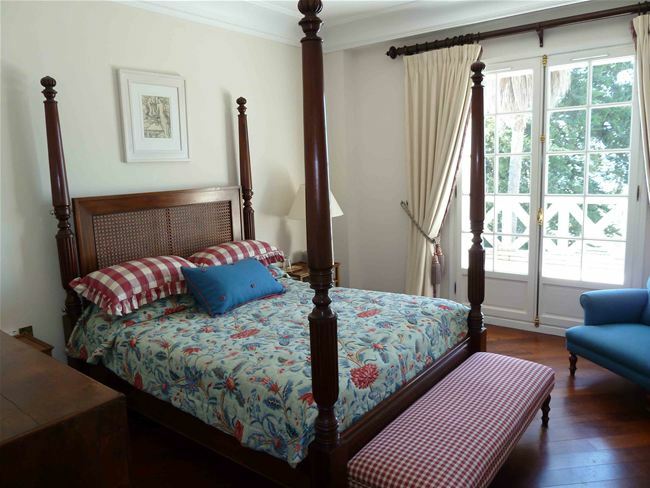 The villa is comprised of 4 wonderfully designed bedrooms, each with an equally lovely en-suite bathroom. 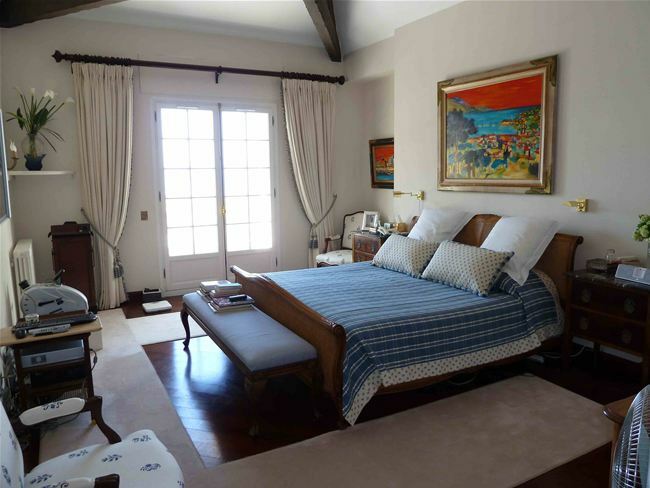 The master bedroom and 2 of the guest bedrooms feature access to the terrace. In addition to the guest bedrooms, there are 2 staff bedrooms with bathrooms. The living areas are spacious with high-quality furniture and tasteful decor to compliment the Mediterranean atmosphere perfectly. 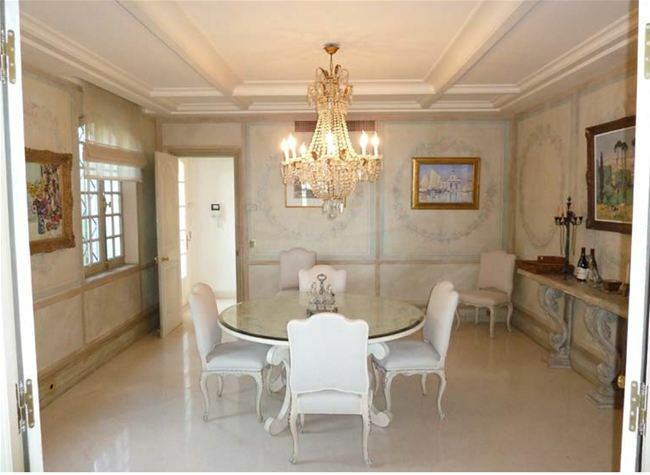 The dining area is opulent and elegant with a beautiful chandelier above the table. A fully equipped kitchen accompanies the living spaces with all the latest appliances. Guests can enjoy the property’s private swimming pool as well as the multitude of terraced areas and landscaped grounds.